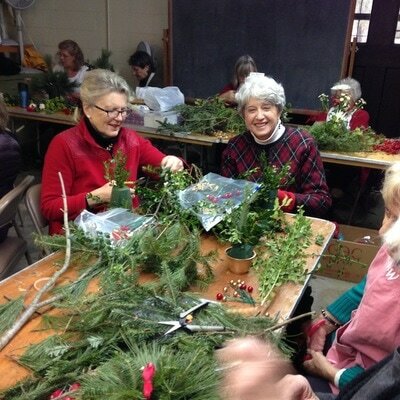 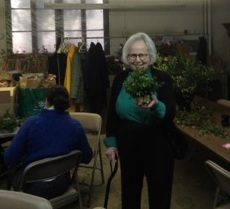 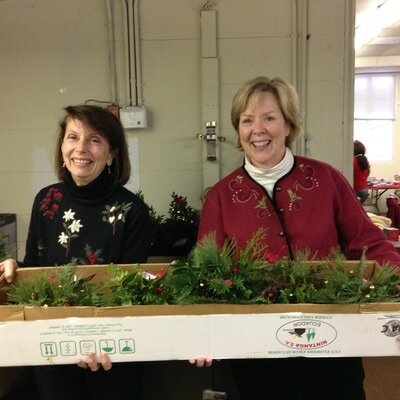 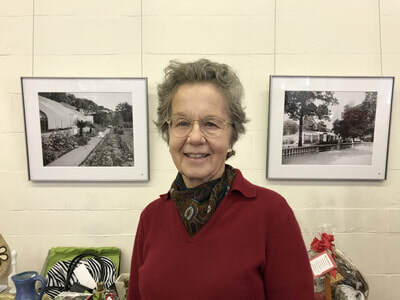 Each year, in December, members gather to make holiday arrangements for area nursing homes. It is one of our very favorite meetings- a time of fellowship and holiday spirit. 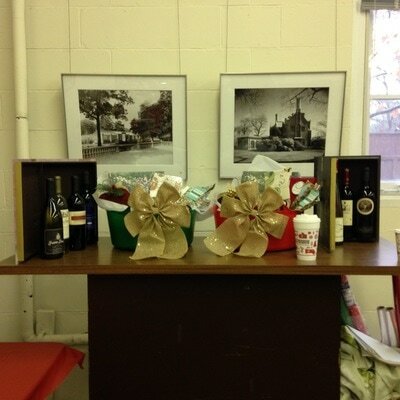 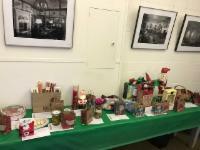 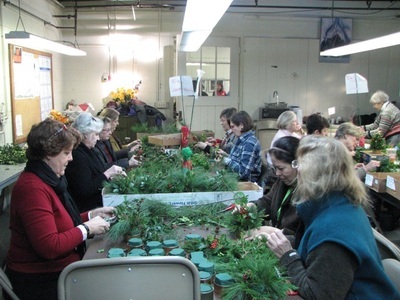 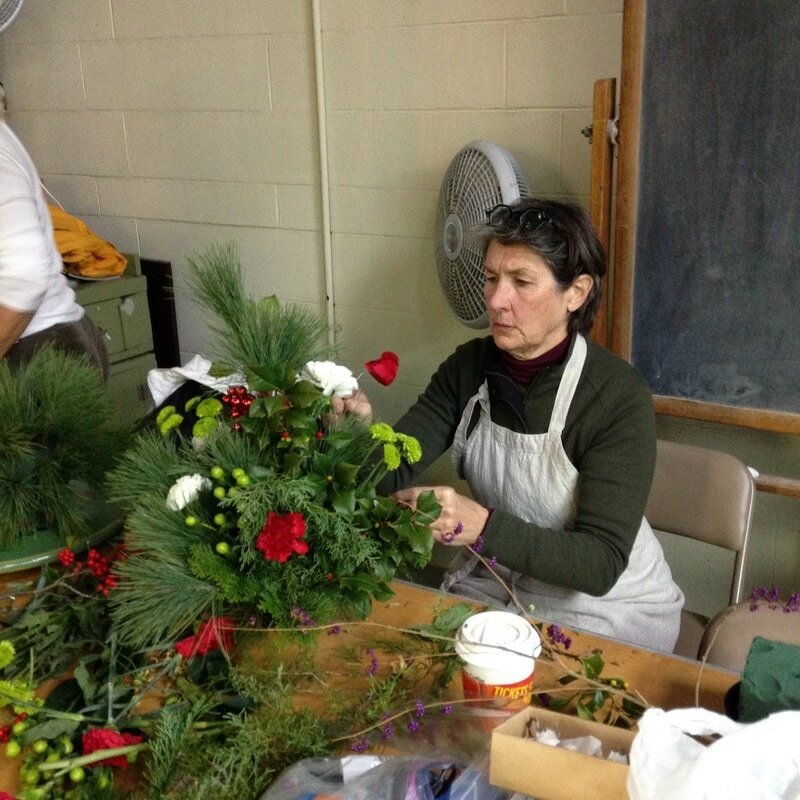 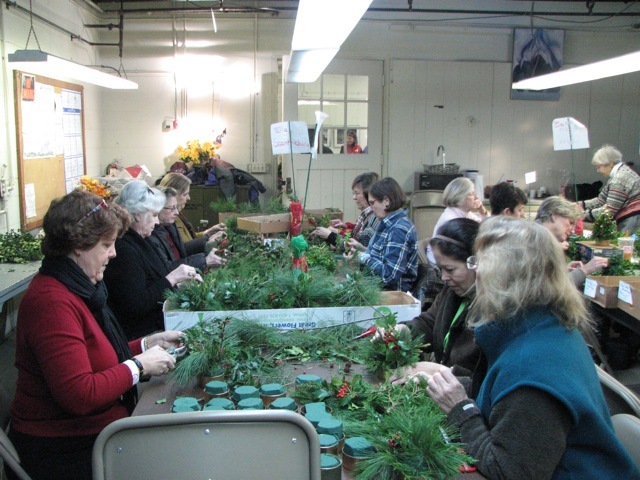 Our annual Holiday Workshop was a spectacular success. 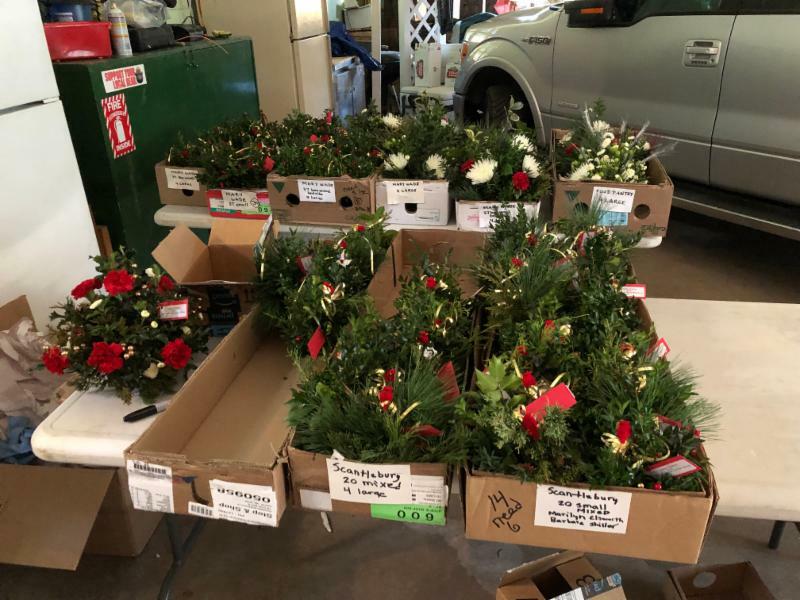 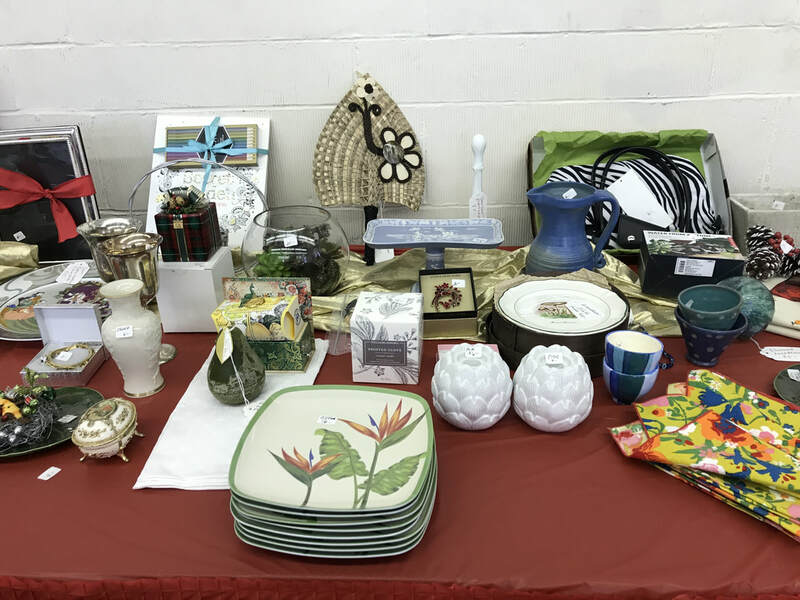 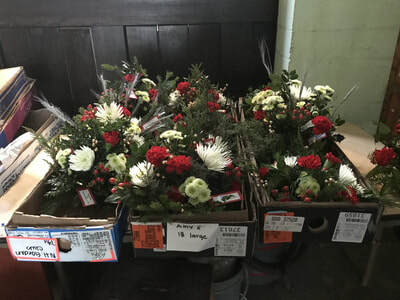 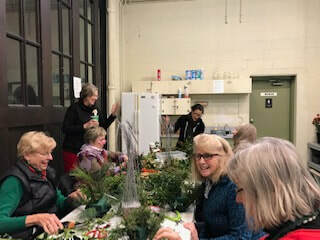 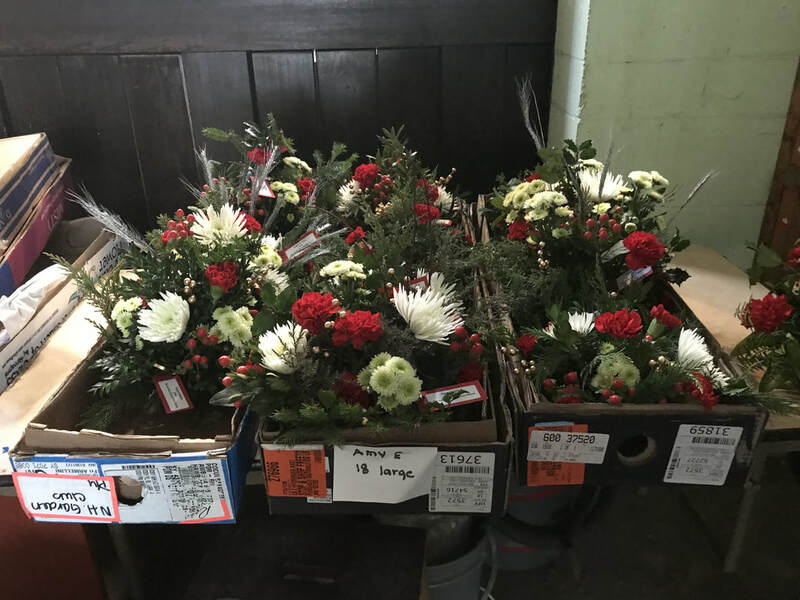 We created 175 arrangements (our biggest total to date) for area nursing homes and Leeway, GCNH members, and the Christ Church Soup Kitchen. 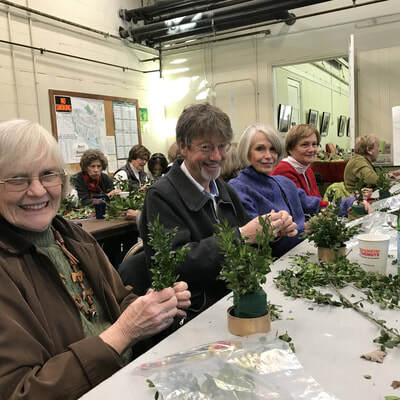 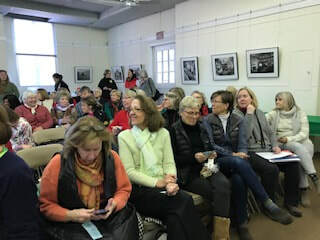 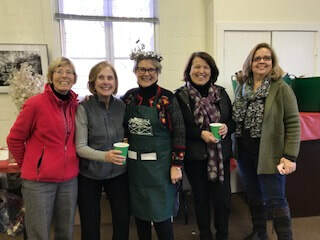 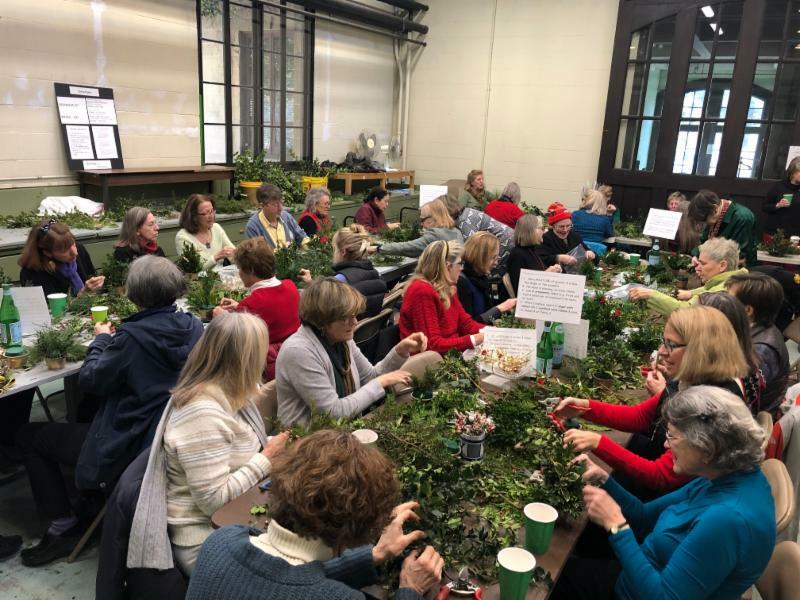 Thanks to Carol Warner, Susan Anton, and all those who participated in the pre-meeting organizational session and in the workshop itself as well as those who volunteered to deliver the arrangements. 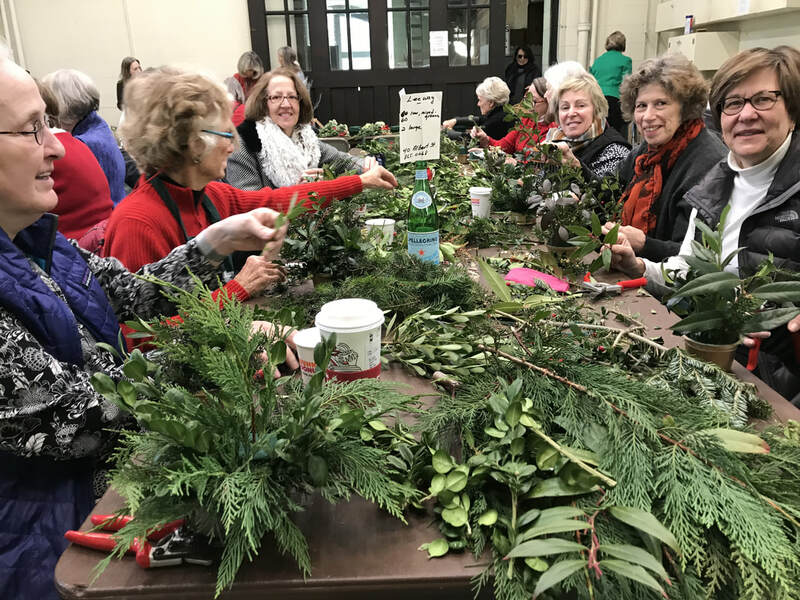 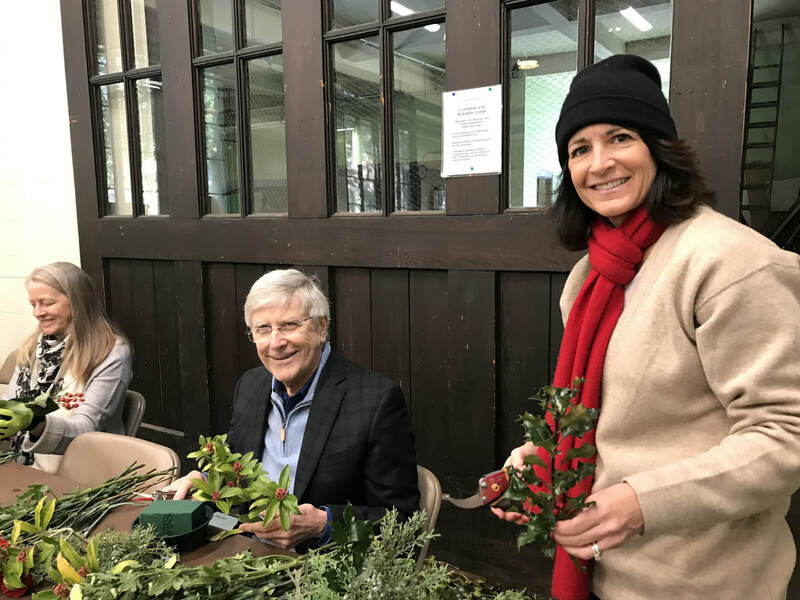 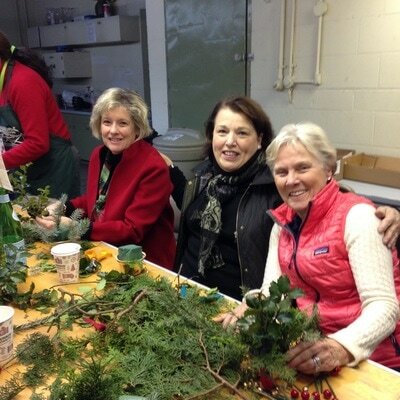 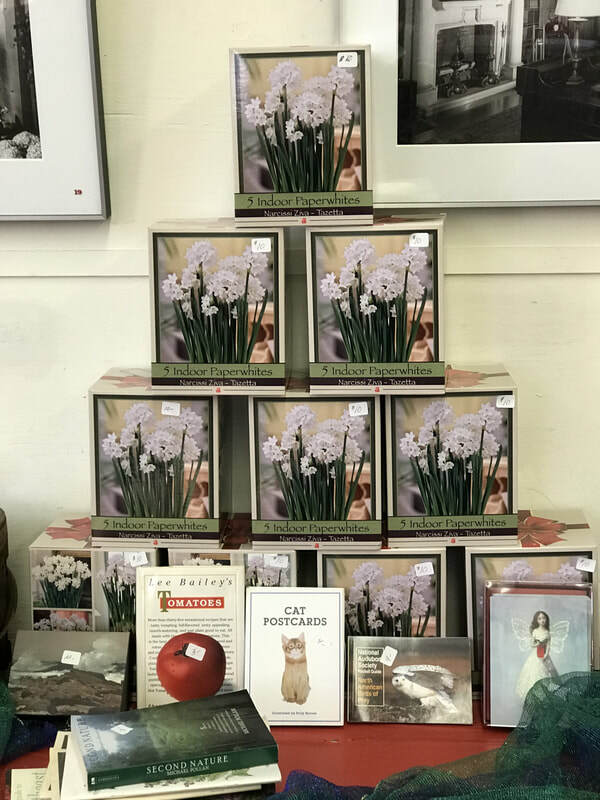 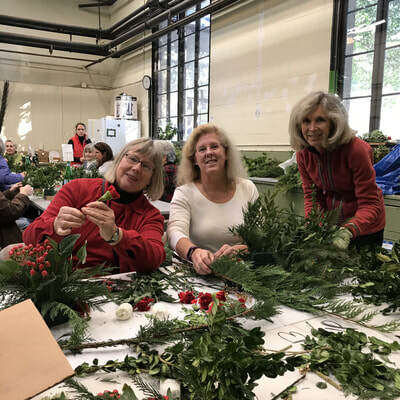 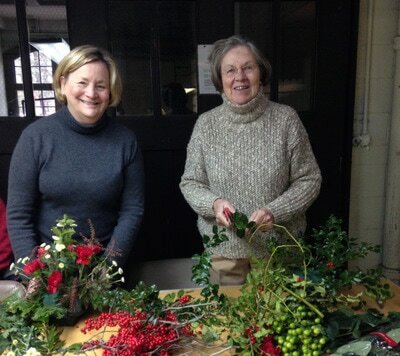 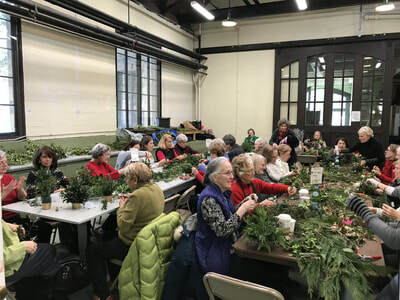 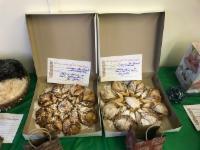 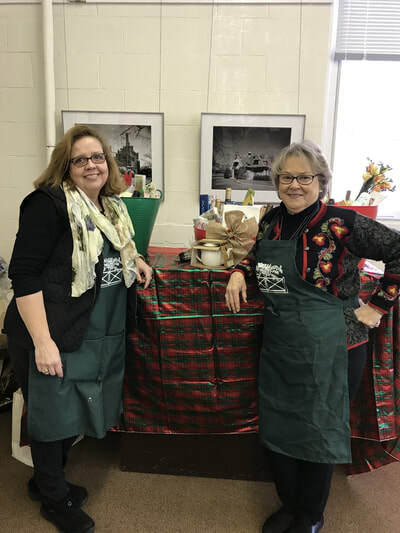 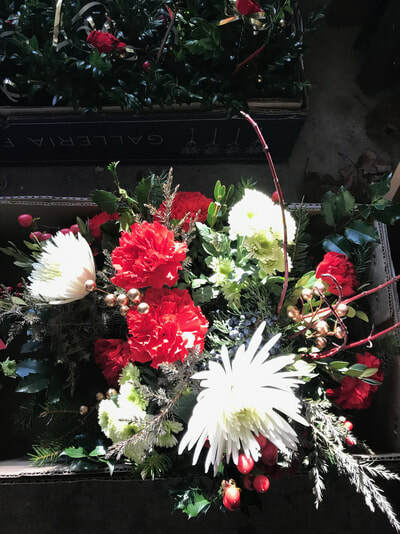 A special thank you goes to Hart Caparulo and Anne Godsey, whose energy, efforts, and ideas a highly successful "teacup" and wreath auctions, raising close to $3000 for the Club and to Amy Estabrook, whose wreath making workshop resulted in these beautiful wreaths. For TECHNICAL ISSUES ABOUT THE WEBSITE only, contact gardenclubnh2@gmail.com . 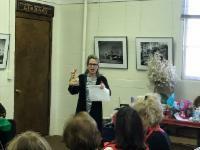 Any discussion of law on this site is for informational purposes only, and does not constitute legal advice. 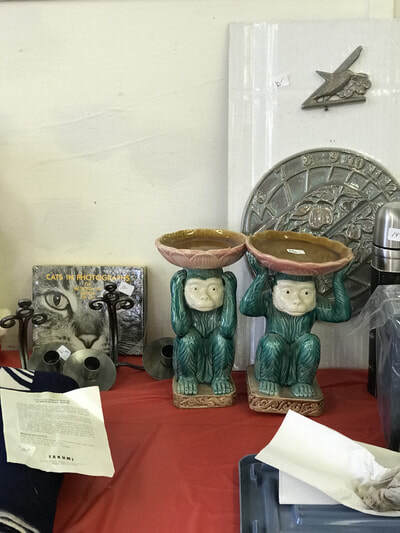 For legal advice regarding particular facts and circumstances, please consult an attorney. Click here to install Adobe Reader for free, in order to read PDF files.